A pretty crap week to be frank. All sorts of horrible things happened in the World and I was stuck at home with a chesty cough. 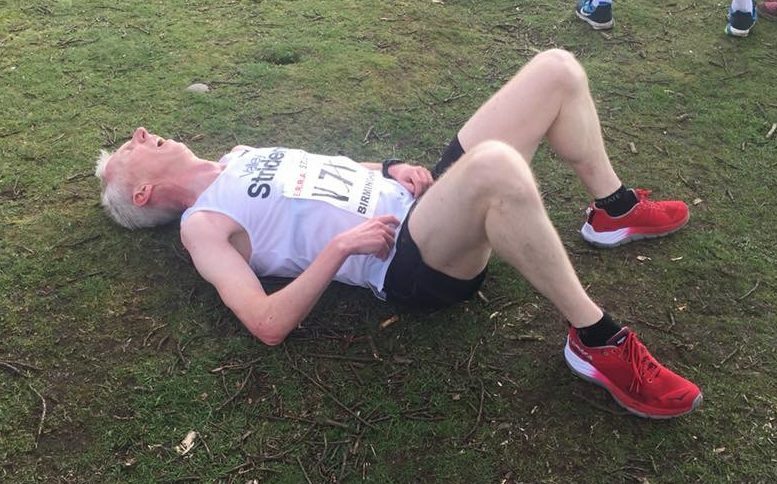 I didn’t run very far or very fast, and I didn’t run at all between Tuesday and Sunday, so I missed the Yorkshire cross country championships at Ripon on Saturday. Valley Striders did very well and if I had run I am fairly sure I would have finished last male Strider and much nearer the back of the field than the front, I’m still frustrated that I missed it though. My new Concept 2 rowing machine finally arrived on Thursday, though I didn’t much feel like smashing myself, I have done a couple of steady rows to test it out – 3500 metres and 5000 metres today. I’ve forgotten how hard rowing is! The physical thing that I have noticed changing most with advancing age is that my maximum heart rate is falling. Back when I ran in my 20s and 30s I can remember my max HR being in the high 180s. These days, 150 is about as high as it goes normally when running, a bit lower for cycling and even at the end of a mad sprint finish in a 5K when I feel sick, it won’t go much over 160. On the rower, I’ve noticed that it shot up as soon as I started pulling harder. I did some 500m efforts in my 5K row today and in no time the HR was in the 150s. Although, its hardly scientific as I am ill at the moment. As for running whilst ill, I follow the maxim that its only OK to run if the problem is above the chest. However, I was feeling short of breath and coughing up gunk, so running would have been foolhardy. I remember reading about Liz McColgan, whose coach (and ex Husband) would make her train hard whenever she had a cold, the theory being that the cardio vascular system will be made to work harder to get the air in when you are ill. They breed them tough in Scotland. I’ve decided to stop feeling sorry for myself and just get out there. I’m running to work and back tomorrow, no matter how I feel or what the weather is doing and I’ll go to Tuesday track sessions with my running club. I am pretty sure it will feel very tough given my recent lack of training, but sometimes you just have to get on with it.